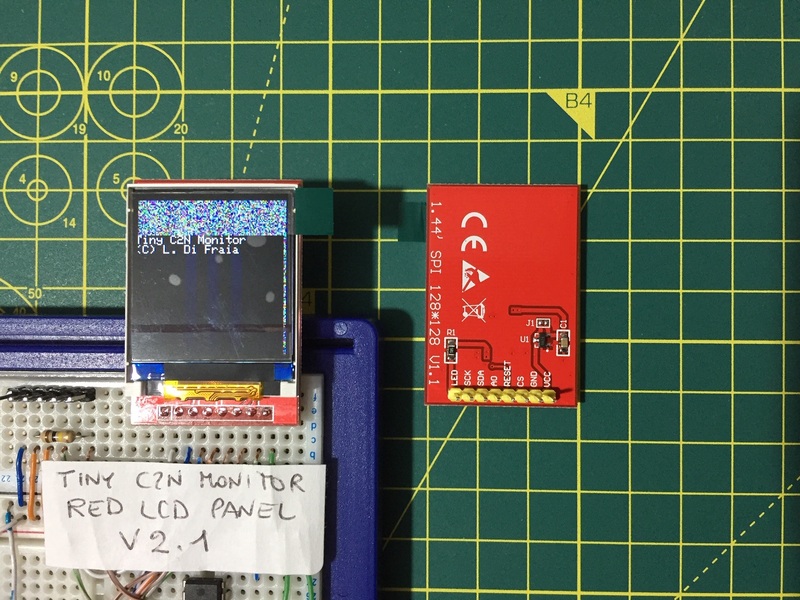 I recently acquired a few additional displays for Tiny C2N Monitor from eBay. As I had commented before, it seems that sellers had started selling version 2.1 of ILI9163-based modules without making buyers aware of the substantial changes between version 1.1 and 2.1. When I recently saw version 1.1 of a ST7735-based module I thought it to be compatible with the ILI9163-based ones, so I bought a few. Once I received the display modules I noticed these were quite different from the ILI9163-based ones with whom I had worked in the past: neither driver adjustments for version 2.1 nor 1.1 of the ILI9163-based modules are suitable for this new ST7735-based module. Although I have little motivation at the moment, I will have to adapt my driver code to fully support these display modules: specifically, I have to figure out some of the properties of these displays before I can use the hardware scrolling. Is it possible to return these LCD displays, as the description doesn’t match? Also, what about the return of the purchases done over the internet? I’m not sure how it works for eBay, but I’m assuming it could be possible? It is worth pointing out that the pictures used in the eBay listing are misleading, but other than that, there isn’t much I can do: a lot of sellers are using the very same pictures and description in their listings. Also, I had initially erroneously reported the new displays are 128×160 where in fact they are still 128×128. I eventually worked out the configuration parameters I need for hardware scrolling. As I am happy that it did not require more than a 1 hour effort, I won’t be asking for a return. Unfortunately, there was no other way around this as all eBay sellers seem to be shipping the very same display module: it is pretty much a forced route for us end users as older display modules have been obsoleted and unavailable for re-stocking.